Sydneysiders will have the opportunity to control the movements of a giant interactive robot from an Intel-powered tablet at this year’s Vivid festival. 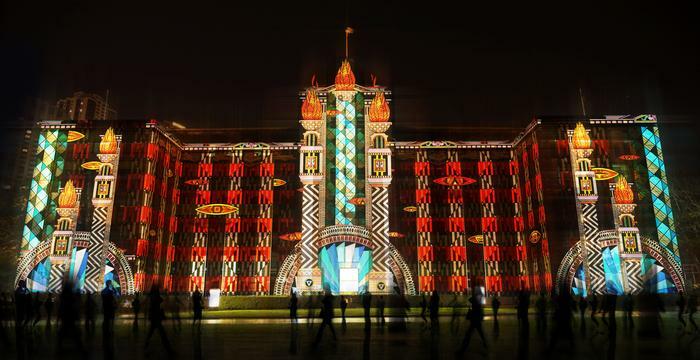 The Vivid festival will paint Sydney landmarks in dazzling light displays over its 18 day run. Many of the lightshows will showcase the potential of new Intel technologies as the chipmaker returns as an event partner for the fourth consecutive year. Festival attendees will be able to control the lighting on Sydney’s harbour bridge, or the movements of a “giant interactive robot” from an Acer tablet powered by an Intel processor. Other lighting displays include a digital forest, its centrepiece is a 120 LED installation fronting a display of Intel’s latest 2-in-1 products, and LED-studded boats floating throughout different parts of Sydney Harbour. Tablets will be given away during the festival to attendees who upload the best photos of Intel’s robot to Instagram, bearing the hashtag #Intelrobot. Many of the installations will rely on technologies powered by the Intel Galileo development board, a customisable circuit board used by artists, designers and capable enthusiasts to create interactive environments. Intel is hosting two workshops members of the public can attend to find more about the new DIY processor — one of which is already sold out. Intel Australia managing director, Kate Burleigh, said Intel’s range of chips were enabling artists to creatively express themselves. “Our technology is working to make it happen. It’s not what we make; it’s what we make possible,” Burleigh said. This year’s Vivid promises to be the largest in the event's history. 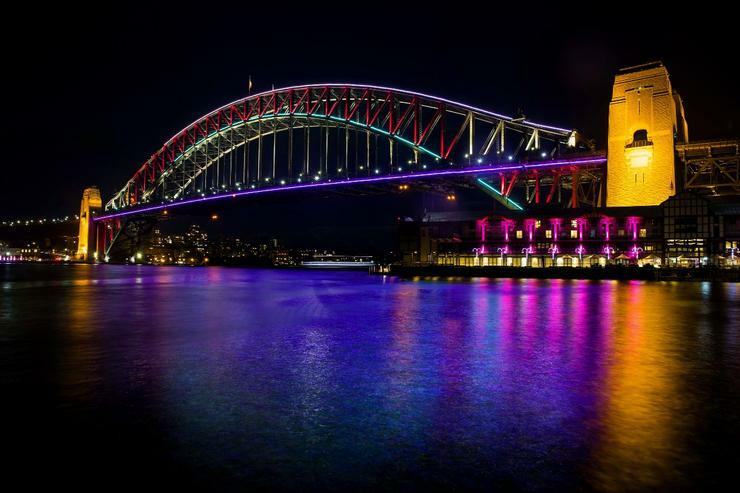 Sandra Chipchase, chief executive of Destination NSW, the state government event agency behind Vivid, said the installations will “create an unbroken trail of light from Circular Quay to North Sydney”. “This year’s Vivid Sydney boasts the largest program of light, music and ideas in the festival’s six-year history, with an extended footprint in five new precincts including Carriageworks, The University of Sydney, The Star and finally Harbour Lights. The Vivid lighting festival will kick off from Friday the 23rd of May and will run until Monday the 9th of June. Fancy a Psychedelic Psundae with a side of Silly Cone Chips?